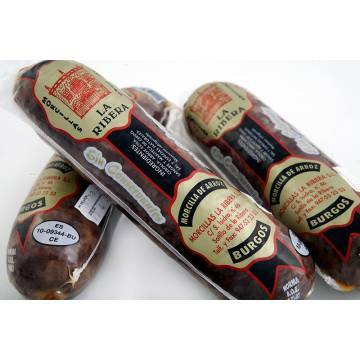 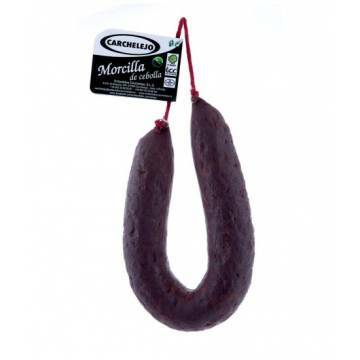 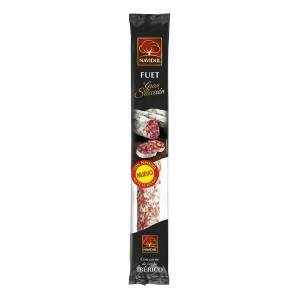 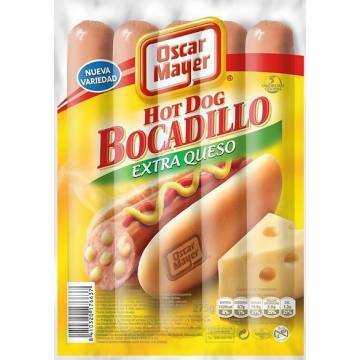 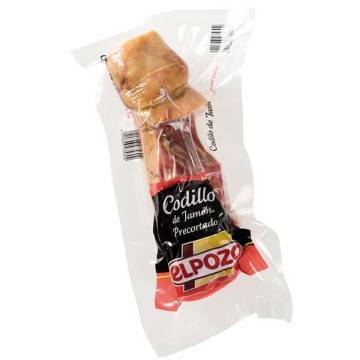 ﻿ Air Dried Sausage Fuet Navidul – Your Spanish Corner. 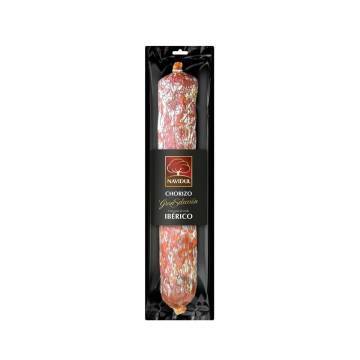 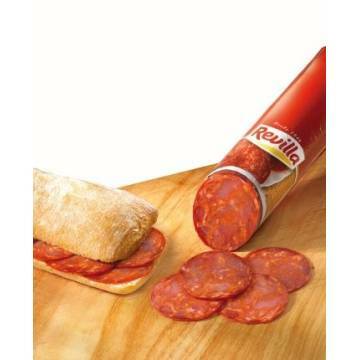 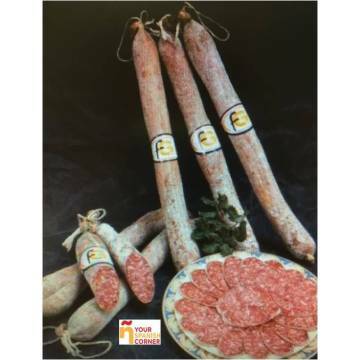 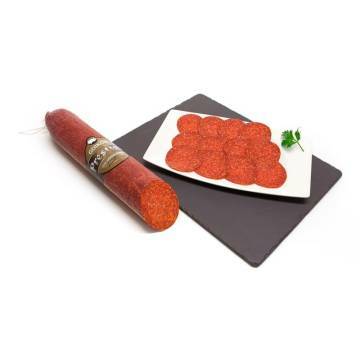 Navidul has created this new product (airdried sausage - spanish fuet salami) based on a traditional recipe, with ingredients of first quality and a delicious flavor. 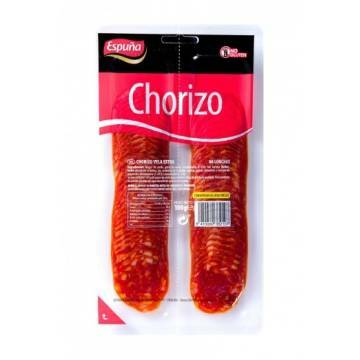 Iberian quality. 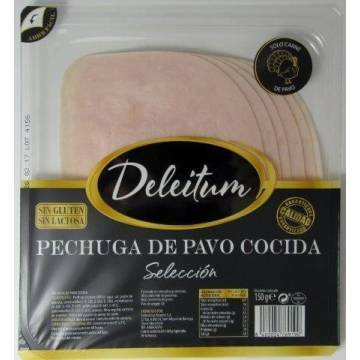 This product does not contain gluten. 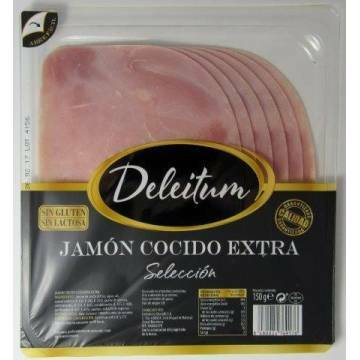 Specifications: Store in a dry and cool place. 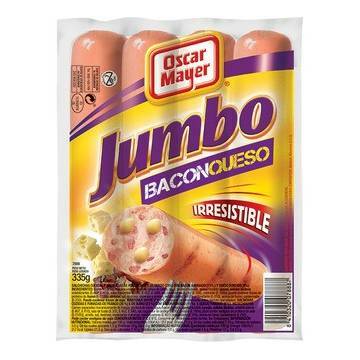 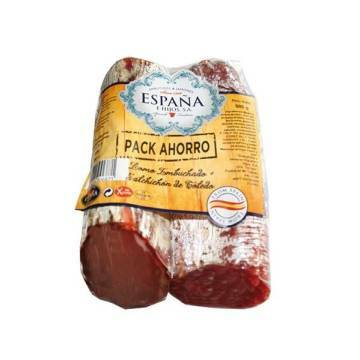 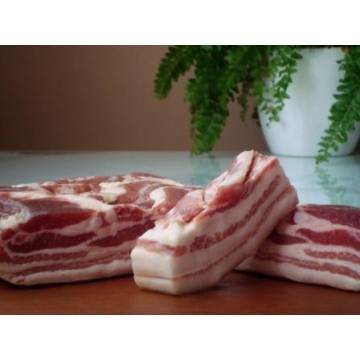 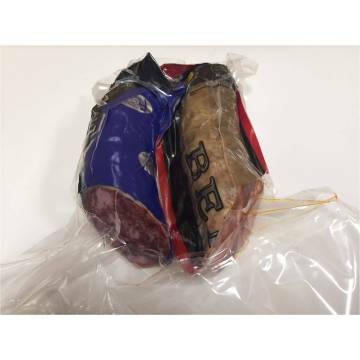 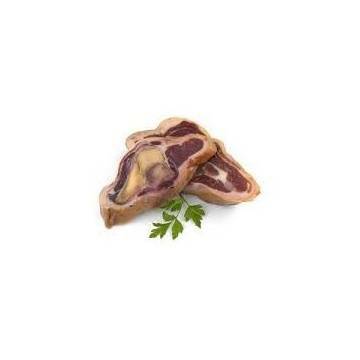 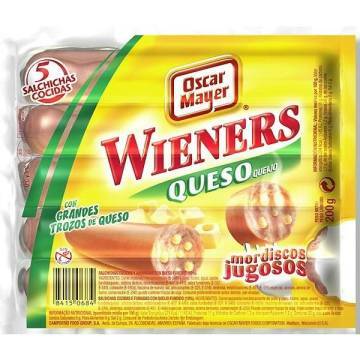 Pork meat and fat, Iberian pork (47 g to make 100 g of finished product), milk powder, salt, spices, sugar, dextrose, antioxidants (E-301, E-392), preservatives (E-252 , E-250), yeast, colorant (E-120). 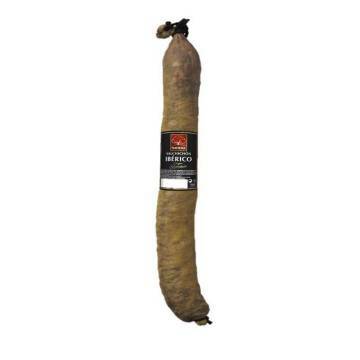 May contain traces of soy protein.